According to official DLNA web site, Arçelik is going to be the first Turkish manufacturer to offer a DLNA certified product: an LCD TV in an unknown size with a LAN connection, which will act as a “digital media player”. 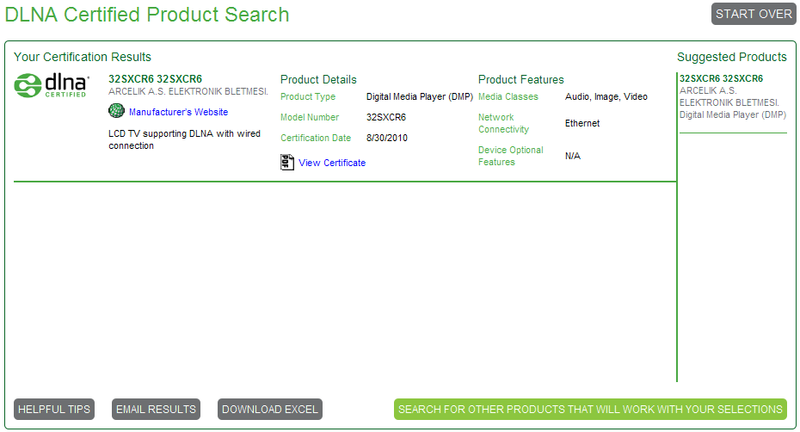 According to DLNA, the model of the certified product is 32SXCR6 and certificate date shows 8/30/2010, yet couldn’t find any news about the new LCD TV neither on Arçelik’s official web site, nor on Google. No wireless network interface according to certificate, wonder if it is going to have an internal drive. Here is the given certificate (PDF). PhD in Microbiology, head of digital at Kapital Media. Interested in geekery, gadgets and ever-evolving web.